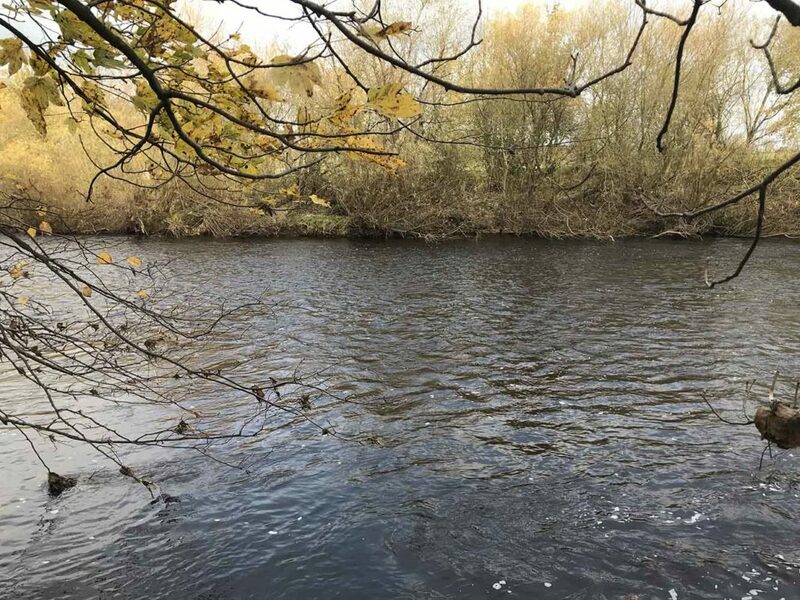 Hot on the heels of last Wednesday’s evening with the FDG and Matt Eastham I found myself freshly enthused with fly fishing vigour and up to my waist in the Wharfe on Saturday. It was a close run thing mind, I nearly chose to zip myself up inside a tiny one man tent on top of a hill in the Dales/ Lakes because I have powerful urges to do such things but the river won out. Besides I had a brand new pair of Ocean neoprene chest waders to try out. I used to fish this bit of the Wharfe back in the 90s so returning now is a delightfully nostalgic experience. I’m rusty as owt with river fishing now though, which showed when I tackled up a Czech nymph outfit with 3 flies on a leader that was far too long. Try as I might I could not make it fish right and had to reconfigure it. I also had a go with Stu’s dedicated French nymphing outfit and was very impressed with the step up it gave in bite detection. I really need to get set up with one and get some practice in. Stu proceeded to have a whale of a time catching increasingly big Grayling culminating in a handsome specimen of around 1 and a 1/2 pounds whilst I struggled to get a bite. Eventually I did get off the start line with a smallish Grayling on my middle dropper, a rainbow Sow Scud pattern with pink 3mm tungsten bead I’d tied the night before. I slowly got back into the swing of things, no doubt helped by staying warm in my new waders, and got a second Grayling in a different pool on the middle dropper again. 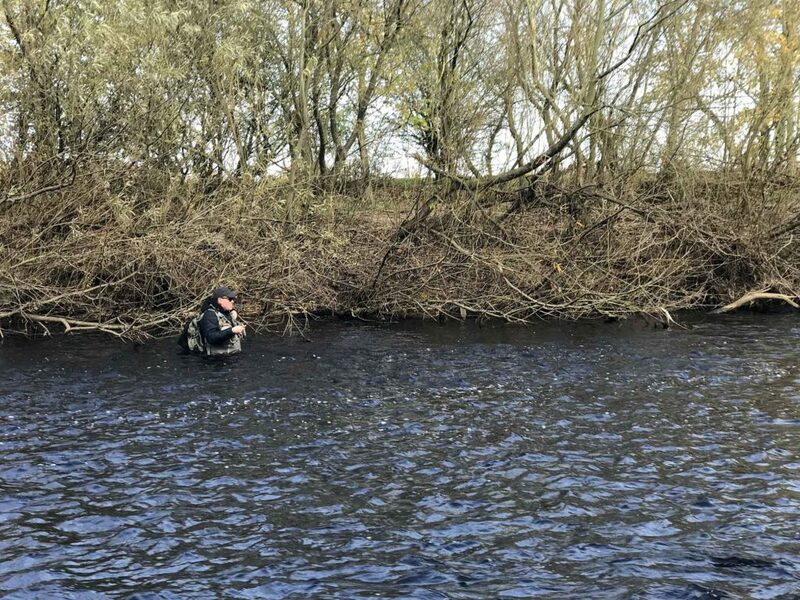 This was slightly bigger and took ages to recover, the water was so cold I couldn’t hold it any longer so placed the fish in a back eddy to pull round. My biggest of the day. 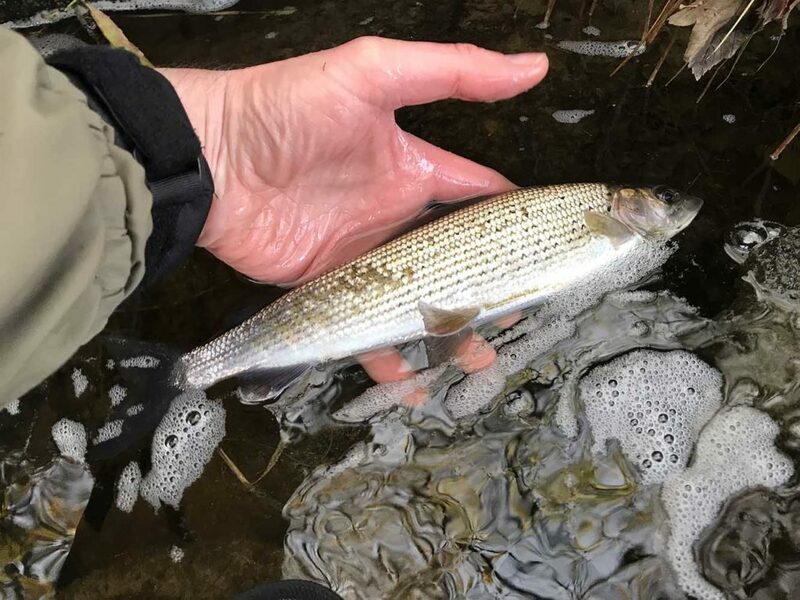 I finished off with a barely fish finger sized Grayling which was like a sparkling silver .303 cartridge and in great condition – I look forward to catching it again in a few years time! I can’t be too disappointed with the session, I didn’t blank after all but I really need to try spend more time on the river and get my skills back up to an acceptable level. I really enjoyed the blog and am so glad that I am not the only one who takes any opportunity whatsoever to go fly fishing!